12V version with 40W heater. 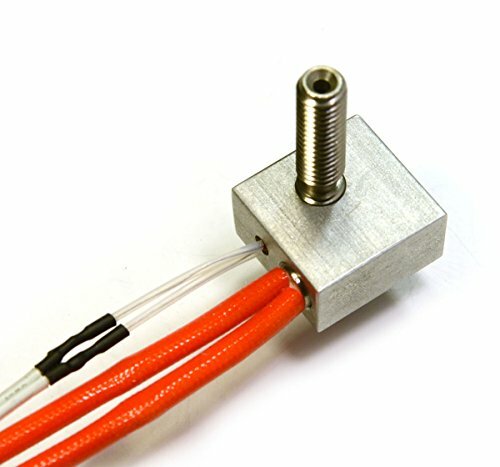 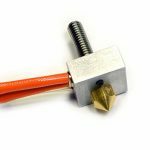 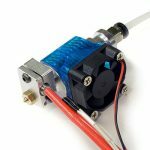 DIY hotend requires heat sink to operate properly – metal base, aluminum block, or any other type of cooling device. 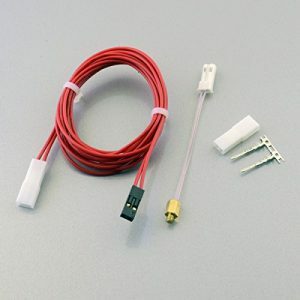 Assembly of this device is straight forward. 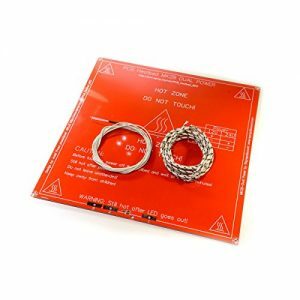 Please consult with supplied drawings and pictures for visual clue. 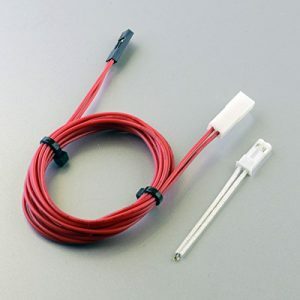 Suggested way of thermistor mounting: JB Weld steel epoxy or kapton tape. 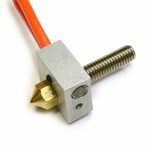 – 26mm long stainless PTFE lined barrel, for low friction, trouble free print. 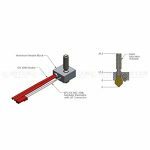 – Nozzle is based on MK8 makerbot nozzle geometry and can be exchanged or replaced with many different types of nozzles on the market. 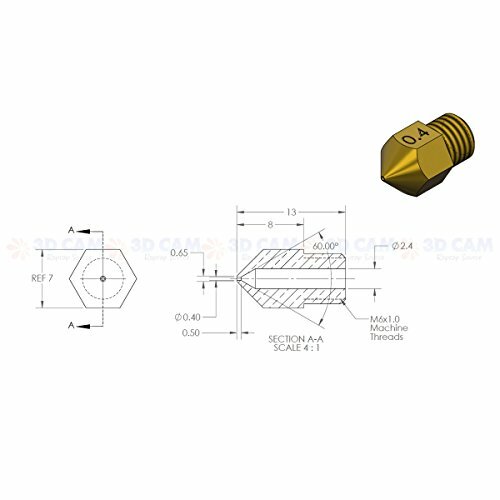 This will give you good selection of nozzle orifice diameters. 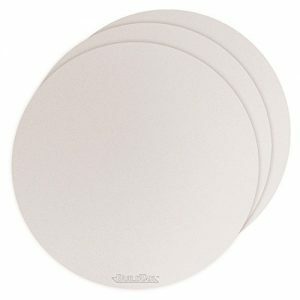 – Low profile: only about 39 mm high. 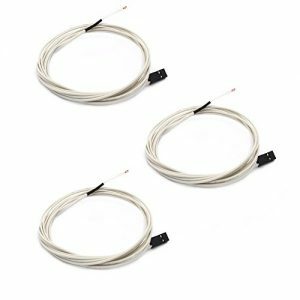 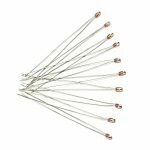 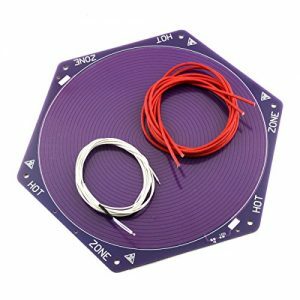 – NTC 3950 100K pre-wired thermistor. 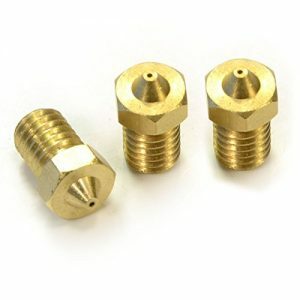 1 x MK8 Nozzle 0.4mm extrusion diameter. 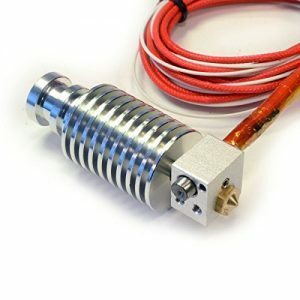 1 x Stainless PTFE lined barrel. 1 x Aluminum heater block with one M3x3 setscrew. 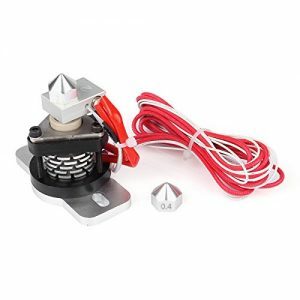 1 x 12V 40W Cartridge Heater.